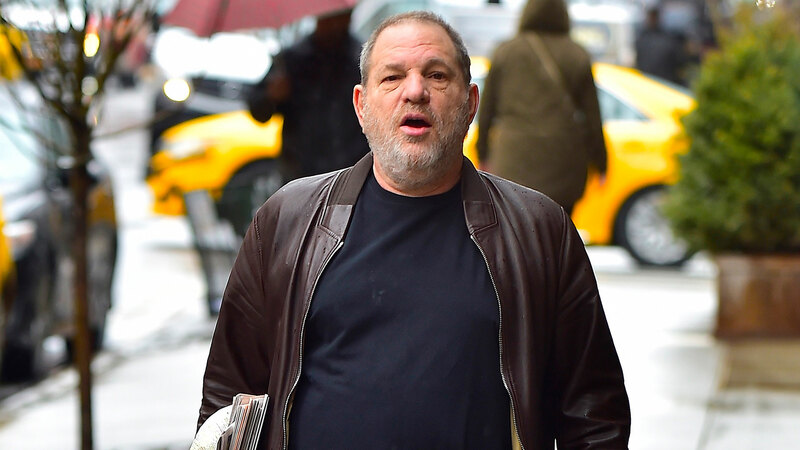 When I first read about the allegations about Harvey Weinstein, I wasn’t surprised. It’s not just because my Spidey sense kicked in whenever I spotted him on the red carpet at an award show, giving me creepy, chilling vibes, causing me to wonder how J. Law could stand so close to him. But it was because the allegations brought forth from his victims hit home with me in a way that made me feel sick to my stomach. I have a similar story. I actually have a few (which is horrible, but unfortunately not unique) but there was one that initially stuck out to me. It was the word “massage” used in the Weinstein allegations that socked me hard in the stomach, bringing me back to when I was 22 years old. Fresh out of NYU, I had secured my first serving job at a well-known entertainment establishment in the West Village. I was inexperienced in every sense of the word — at serving tables, at navigating both my professional and personal life — but I found a community within the restaurant that gave me a sense of place and purpose. I quickly struck up a friendship with the head cook of the restaurant. He was in his late 50s if not early 60s with a paunch and a jovial spirit. He was married to a younger wife with a young daughter. He would sneak me food — like, the good food you usually have to pay for — and he would offer me advice on various things and give me the biggest bear hugs. I viewed him more like a grandfather, and when he told my mother, who was visiting from Toronto, that he would look after me, we both believed and trusted him. A few months later, I gradually noticed changes in his behavior. How frequently he demeaned my boyfriend at the time. How his hugs would linger a little longer and just felt… not right. It was around this time that he had invited me to dinner, and I went. I went, and even now as I write these words, I feel shame. I feel embarrassed. But we’ll get back to that. I went up to his apartment to eat our Chinese takeout. Afterward, we sat on his couch to watch some TV. He moved closer. Then closer. I immediately sensed something wasn’t right, but before I could make a move, a mouse scurried across the floor, causing me to scream and jump out of my seat. He took this as his opportunity to make his move. He wrapped me in a huge, overbearing embrace and then started to massage my shoulders. He asked me if I wanted to move the massage into the bedroom, and that’s when I knew I was in trouble. I pulled out from his embrace, grabbed my things and raced toward the stairs. He called after me, laughing, “What do you think I was going to do?” I didn’t want to find out. This is a story that I shared on my Facebook status, inspired by writer Anne T. Donahue’s tweet on Oct. 5 that asked her followers to share their own Weinstein-type stories. But here’s the thing. Before I began typing, I didn’t think my own story was worth sharing. I didn’t think it was devastating or traumatic enough. I didn’t even consider it worthy of being called sexual harassment. Because I should have known better. Right? After all, that was the response given to me by male co-workers, including my then-boyfriend, after I relayed the story to them. “Why did you go up there?” they asked me. “You should have known what he wanted. You should have known better.” And this is what I did think for many years after: that I should have known better. He was the predator. Why wasn’t he being shamed for manipulating me and abusing my trust for his own sexual gain? Unfortunately, it’s what a lot of men do. Knowingly or not, they often diminish women and attempt to twist our character in order to explain, justify and rationalize something horribly, disgustingly wrong. If you’re sweet and quiet, then you’re naive. If you’re tough and opinionated, then it shouldn’t really bother you. If you’re overweight and not conventionally “attractive,” you should be flattered. Or my personal favorite: You’re just overreacting. It’s this pervasive mind game that has left many, including myself, to second guess whether or not they have been victims of sexual harassment or assault. To question whether their stories matter. Situations I knew weren’t right, but ones that still left me questioning whether or not I was in any “real” danger or had actually been violated because I was fine, right? I came out of it OK. I didn’t have to go the trauma unit of a hospital or attend years of therapy because of it. But I think I didn’t know just how disturbing these instances actually were because I, like so many other women, have been taught to minimize our feelings and experiences. That because boys will be boys, what can we expect? It’s not that big a deal. We should have known better. The Weinstein stories, as well as my own, have reminded me just how difficult it is to rewrite something that’s been forced on you — whether it’s a body, morals, facts, culture or even a story that you’ve told yourself. After I shared my story online, I was overwhelmed with support, which included some of my friends bravely sharing their own stories of sexual harassment and abuse. This is what we need to continue to do. We are healing ourselves by healing each other through our stories. Because they all matter. And if we continue to share, to speak up, to own our truth and ultimately heal, then maybe something will change. I hope it will.